Green cardamom Code with skin and keep aside. A vessel / water in the pot, boil the sugar and grated ginger. 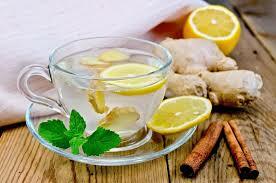 Ginger 2-4 minutes in the water after boiling, insert a 4 tea bags. Wait 30 seconds to slow down the heat. Now turn off the heat and four cups of tea Sieve Sieve. Turn off the heat and let the tea filter. Hot tea is ready. Or is it just lift you enjoy tea with cookies or Serve fritters bring this tea is always fresh.